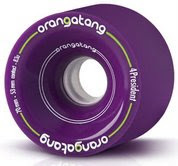 Oh Yeah, We have 83A Purple Orangatang's!!! We currently have 75mm In Heat in stock. The 70mm 4 President will be in shortly!! Our Landyachtz stuff is on the way!! The shipment should be here in a couple of day!! We have 3 cases of Black Bear 852's coming in with this shipment. We are so stoked. Don't forget Mayhem at Muir 4 "Dia De los Muirtos." October 4th!! 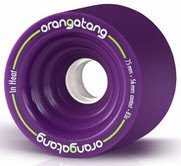 Adam Colten and Loaded Boards will be hanging out with us! Muir Surf & Skate Welcomes back UCSD!! !